D.C. readers! You're invited to Shifting the Wellness Paradigm, tomorrow at 8 am. Join Axios' Mike Allen for a series of conversations exploring medical marijuana's role in shaping the future of health and wellness. RSVP. Pharmacy benefit managers usually operate behind the scenes, quietly influencing the 5.8 billion drug prescriptions Americans fill every year. But they'll take a step into the spotlight today, Axios' Bob Herman writes. The Senate Finance Committee is set to grill the industry over its role in rising drug prices, and the Trump administration is weighing a seismic shift in how these companies get paid. Meanwhile, PBMs don't have many enthusiastic allies, and the pharmaceutical industry has painted PBMs as public enemy No. 1 — a lobbying strategy that has won over Congress and many state legislatures. The biggest threat for PBMs is the Trump administration's proposal to eliminate the rebates they collect in Medicare and Medicaid, instead routing those savings to patients at the pharmacy counter. 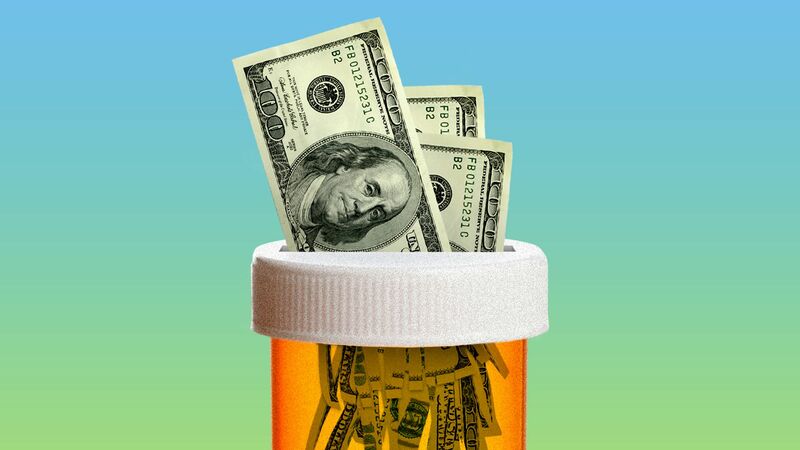 Experts at the Medicare Payment Advisory Commission and Pew Charitable Trusts both wrote that the current system has warped incentives, but the proposed regulation "is unlikely to reduce drug prices" and would create new windfalls for drugmakers. Axing rebates would raise costs for state Medicaid programs and wouldn't help Medicaid patients who already have low or no copays for their drugs, wrote Edwin Park of Georgetown University's Health Policy Institute. Actuaries said the proposed Jan. 1, 2020, start date is a logistical nightmare — but that was written before Medicare said it would create a 2-year transition to temper the industry's losses. Freshman GOP Sens. Rick Scott and Josh Hawley introduced a new drug pricing bill last week that could have been written by Bernie Sanders, and it's not being attacked by GOP leadership. The bill would, among other things, ban drug companies from charging Americans a higher list price than they charge consumers in Canada, France, the U.K., Japan or Germany. The bill doesn't limit this requirement to any particular drug market, meaning it goes much further than the Trump administration's proposal to tie Medicare Part B drug prices to the price of those drugs in other countries. What they're saying: "I’m sure [Pharma] hate[s] it," Hawley told me. "But look, they're not good actors. I mean, Big Pharma has gotten a sweetheart deal, they’ve gotten huge, they’ve gotten powerful, they’ve gotten rich, and I’m not terribly sympathetic to their position on this." "It’s got people talking, I’ll put it that way," said Sen. John Thune, the No. 2 Republican in the Senate, when I asked him about the bill. My thought bubble: If you haven't yet been convinced that the politics surrounding drug prices has changed, think again. Administrative costs make up a much larger share of health care spending in the U.S. than in other high-income countries, according to a new analysis by the Center for American Progress. In 2016, we spent 8.3% of our health care dollars on administration, while the next-highest spender — France — spent only 5.7%. This is at least partially because of how complex and fragmented our health care system is. By the numbers: Of the $496 billion spent a year by health insurers and providers on billing and insurance-related costs — and then passed on to consumers — CAP estimates that $248 billion is unnecessary. One of the reasons it's proving so difficult to find a cure for Alzheimer's is because the disease often coexists with other brain abnormalities, NYT reports. Researchers can't tell which of the conditions are responsible for a patient's memory loss, or if it's a combination of them. The abnormalities could even be the effects of a cause of dementia that's yet to be discovered. Why it matters: It's essentially impossible to find a cure for a condition that isn't concretely defined. The most optimistic scenario is that these brain conditions are all caused by the same thing, meaning one solution would work for all of them. Regardless, the unknowns surrounding the disease are daunting. While there are ideas about treatment possibilities to explore, there's no real consensus forward. The number of measles cases this calendar year has jumped to 465, the Centers for Disease Control and Prevention announced yesterday. This the second-highest number of cases reported since the disease was eliminated in 2000. Cases have been confirmed in 19 states, but the spread is mostly accelerating due to an outbreak in New York City, according to WSJ.